During this past weekend’s Generation Next Basketball Association (GNBA) event the 2019 class was on full display. Prospects from all over the Midwest came to showcase their talents in Waukegan (IL) Fieldhouse. 7th grade is a big transition year for many of these prospects. Some will work and develop to separate themselves from others. 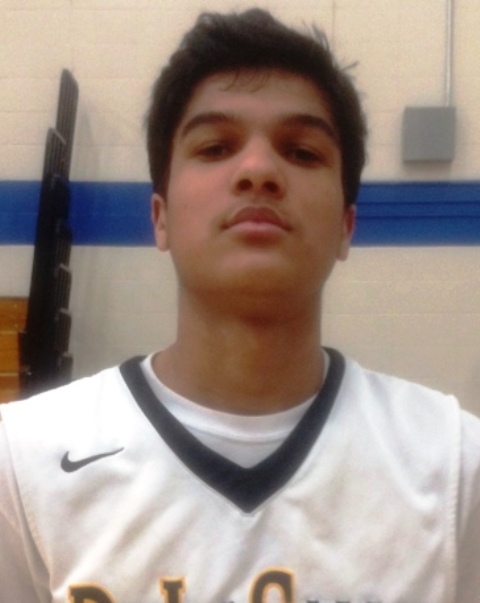 Here are a few that stood out the 1st weekend of GNBA action. Brown had a terrific weekend for a Future Elite squad that played well as a team and went 3-1. The 6’2 post prospect didn’t have the best numbers on his team necessarily but he was the most effective in various aspects of the game, scoring the basketball, getting after the boards, being active in the middle protecting the hoop and all-out hustle. Brown finished around the hoop, showed he can step outside and knock down shots if needed and actually did most of his rebounding damage on the offensive end getting second opportunities. He also blocked some shots, averaging 1.5 per game Saturday and Sunday. Brown averaged 11.5 points and 6.8 rebounds as well for Future Elite. Carrington did not take long to warm up during this weekend’s GNBA and led his team to a 4-0 record over the two days. Carrington scored 15 points in the opening game knocking in 2 triples and grabbing 2 rebounds. Short in stature, the crafty guard is unafraid to get in the lane and attack the basket with aggression. His best game came in Sunday’s action against the (IL) Irish in which Trequan scored 20 points, pulled down 5 rebounds, and dished out 3 assist. Carrington scored 14+ points in every game this weekend. As evident Carrington can score the ball, at 5’9 it will be interesting to continue to watch his game develop as a floor general getting others involved as a lead guard. Cruz had an outstanding weekend for United, helping them to a 3-1 record and making plays with the ball in his hands consistently. 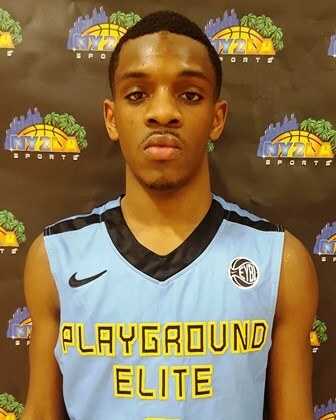 The young wing/post was able to slash to the hoop hard as well as score in the post when on the block, going strong at the rim and either finishing or getting the line, where he converted 9 free throws during the weekend. Cruz averaged 10.3 points and 7.7 rebounds per contest in Session 1. Domask is a knock down shooter in every sense of the word. 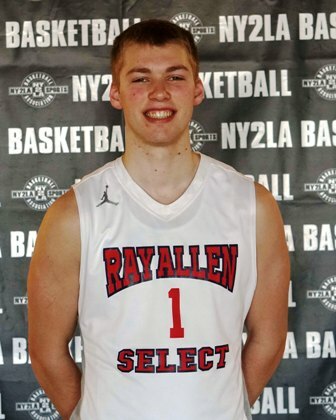 The tough guard is the type of shooter every opposing coach tells his players “do not leave him open for any reason.” Not only is Domask a good shooter he possesses a high basketball IQ, which helped lead to a successful 4-0 record for his team this weekend. Domask opened up GNBA play by scoring 17 points shooting 3-5 from the arc. In the two middle games, Marcus was not as efficient from the field but he still made a positive contribution to his team leading to victories. Marcus is a very unselfish player who is a willing passer to his teammates. In the team’s last game, Marcus had a similar game to his 1st shooting 3-4 from the 3-point line and scoring 17 points in the victory. Marcus will most certainly be among the league leaders in 3-point shooting percentage. Hunley had one of the weekends dominate performances when he was able to score 15 points to go along with 15 rebounds in a win vs. (MI) Reach Legends. Hunley is a 6’2 bruising forward who has a nice wingspan which aids him in his ability to grab rebounds at a nice rate. Hunley also had game of 26 points and 11 boards Saturday evening vs. the (IL) Irish. 7 of those 11 rebounds were on the offensive end which shows his dedication to attacking the glass. Hunley was in double figures in rebounding in all but 1 game during the 1st session of the GNBA. Xzavier Jones’ stat sheet filling capabilities were front and center all weekend. Jones is a 6’4 forward who looks far from done growing. Long, lean and with a great wing span, Jones affects the game on multiple levels. In his team’s 1st game, Jones scored 15 points, snatched 8 rebounds, and had 2 steals and 2 blocks. Jones scored in double figures in all but one game over the weekend, consistently attacked the glass and was nuisance to his opponents on the defensive end. Jones has the ability to be a GNBA All-Star at the season’s conclusion. McKinney is another player who really stepped up and performed at a high level throughout Session 1. The quick-footed guard made plays on both ends of the floor, scored from multiple points on the floor and helped lead his team to a couple big wins over the 2 days. McKinney averaged 11.8 points per game, showing he can score from the lead guard spot, but also that he is not afraid to get in the middle to mix it up rebounding, averaging 3.2 rebounds per game. Sills was steady for the Hawks all weekend as well playing up against stiff 8th grade competition. Sills demonstrated an ability to get the Hawks in their offensive sets and he distributed the ball very well dropping 6 dimes in a victory vs. (MI) Reach Legend in the Hawks 1st contest. Sills also scored 13 points Sunday morning in a victory against (WI) Young Legends. Sills will be most certainly one to watch during the GNBA season. Terry was sensational for Team Sizzle who went 2-2 down in Waukegan and will look to improve at the next session. Terry showcased his range and shooting capabilities, sizzling 11 three’s through the nets during the weekend, hitting 35% from the perimeter but also knocked down some mid-range shots and converted some fast break opportunities. The quick and scoring-minded guard also showed he can share the ball, averaging 3.5 assists in 4 games while also putting up 14.5 points. Ward’s play was highlighted by his ability to rack up multiple double-doubles. Ward is a player that demonstrated a knack for tracking the ball off the rim. In his last game of the session he scored 14 points and grabbed 10 boards. In another game, a victory against Kessel Heat, Ward scored 18 points and pulled down 11 rebounds. As the season continues, Ward will have to continue to become a more consistent scorer to add to his rebounding prowess.